Who doesn't want a Rebecca Minkoff Mini Mac?!!? 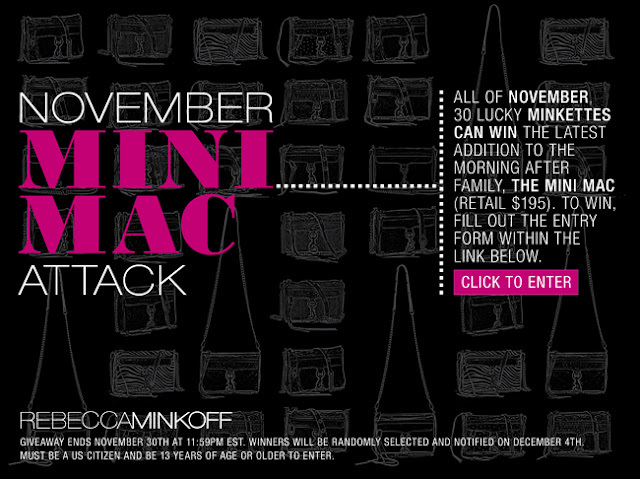 30 LUCKY WINNERS will win the Mini Mac bag, all YOU have to do is fill out this entry form!!! GOOD LUCK! Thanks for the heads up, would love to win it! Rebecca Minkoff bags are gorgeous.